The track on the bottom of the board that sits inside the groove of the roller is what makes Vew-Do balance boards unique. 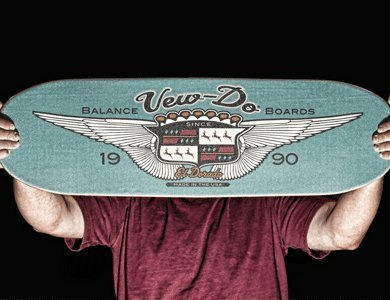 An in depth look into all of Vew-do balance boards products. Find out what balance board would be best for your balance goals. Vew-do balance boards are unique because they have a track on the bottom of the board that a specially made roller with a groove cut into it, so it rides on the track on the underside of the board. This feature allows for the board to simulate the carving feeling used in board sports, as well as spin and rotate unlike traditionally balance boards that sit on top of a roller. Vew-do boards are the best choice of balance boards for someone involved in board sports for their ability to mimic a lot of the movements used in board sports. This is no accident because the Inventor of the original vew-do board was a snowboard instructor who was looking for ways to teach new students balance skills and the movement patterns needed for snowboarding. 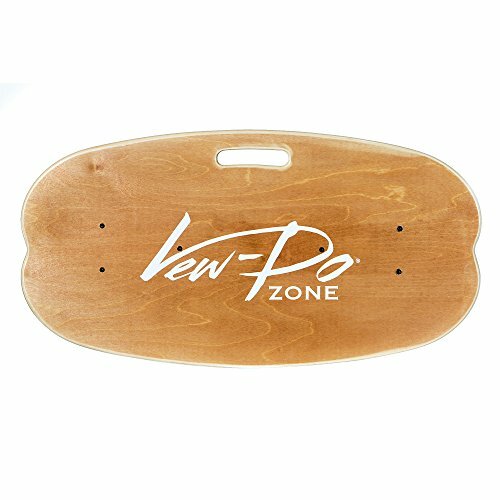 The first vew-do boards were created around 20 years ago since then the vew-do board company has been refining their unique style of balance boards to try and create the best balance boards for people looking to improve their skills in their chosen board sport. Along the years vew-do has also developed some balance boards for general fitness, standing desks, and rehabilitation work. If you are a beginner in balance training and are not looking to train your balance for improved performance in a board sport, I would recommend a balance board that is more forgiving, easier to learn on and with a larger more stable board such as the Indo Board Classic. Check out my indo board buyers guide for a review for all of their boards. In this guide, I go through every single product in vew-do boards line up and give a short review of the board and show video of the board in action. I also explain who I think the board would be best for depending on what board sport or balance skills you are looking to improve. This guide was last updated on 1/4/2018. A review of vew-do boards Beginner and Intermediate Level Balance Boards the flow and zippy. The zippy is vew-do boards beginner balance board, but as you can see from the video above, their are some very challenging things you can do with it. Vew Do Balance Board Flow in action. If you check out the video, you will see how it is possible to ride on the tapered edges of the roller. Being able to carve the board hard like that challenges your heel to toe balance and allows you to do a lot more challenging movements. What are the differences between the flow and zippy decks? The Vew-do flow and zippy boards are a similar shape and size both around 35 x 7 inches (88 x 17 Cm). The difference between the boards themselves is that that the ends of the flow board come to a wider rounder flair than the narrower kicktail of the Zippy board. Both the boards have kick tails for doing skateboard flipping tricks or ollies. The zippy board is considered a beginners level balance board and the flow board an intermediate level balance board by Vew-do mostly because of the roller that you use with the deck. What are the differences between the zippy and flows rollers? The roller it what has the biggest effect on the way the board behaves and reacts making it easier or harder to use. The zippy roller is wider and has knobs at the end similar to training wheels on a bike this makes it more stable and easier to use, but this reduces the board's ability to work on your heel to toe balance that you use in board sports. The flow roller has tapered ends that allow you to ride on the ends of the rollers that better simulates carving in board sports. The good thing about the rollers is that they are interchangeable with these boards so you can buy the flow roller if you want more of a challenge or the zippy roller for more stability. Both these board will allow you to practice skateboard flipping tricks or ollies, but you have the added challenge of trying to land the track on the bottom of the board into the groove in the roller for a smooth landing. Something else to keep in mind about these boards is that the rollers are made out of wood so rocks, pebbles and other stuff found on the ground outside can damage the roller. This is why it is recommended to use the board on a clean hard, smooth surface. Who would the Zippy board be best for? Who the flow board would not be good for. This board is not okay for anyone not willing to be able to take some falls while using this board. So this rules out seniors and people with preexisting conditions that you can make worse by taking a fall. Even if you feel you are at an advanced level with other types of balance boards, I suggest starting with the zippy board to help reduce the number of falls you take you. Who the zipply board would be best for. This board would be perfect for anyone at an intermediate level in snowboard, wake boarding or longboard skateboard. Riding on the tapered ends of the rollers will simulate carving for anyone into board sports as well improve your heel to toe balance. You can also practice turning while carving which is a similar movement pattern using in longboard skating slides or snowboarding turning. Keep in mind that if you do find the board too challenging you can always buy the zippy roller to make the board easier to use. Who would the zippy board not be good for? 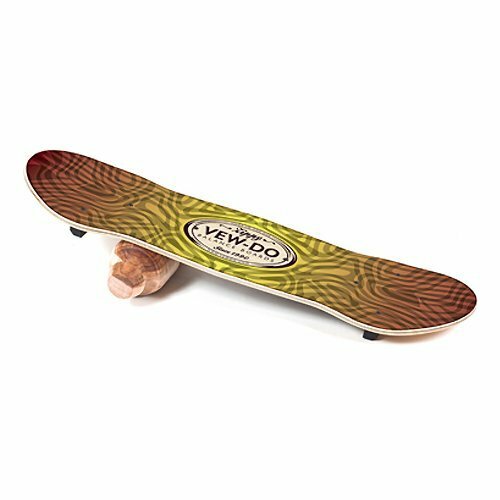 Although Vew-do says, this is their beginner balance board I do not think it is a good board if you are an adult beginner in balance training because even this beginner board has a steeper learning curve and can be challenging to use. If you are a beginner to balance training or looking for a balance board for general fitness, I would recommend a balance board that is more forgiving, can be used with a stability cushion and has a larger deck such as the Indo Board Classic. This board would not be suitable for skateboarder or surfers vew-do has better boards suited for those board sport. Also, people over 6 foot 5in will probably feel that the board is too small for you to use comfortably. Who this board would be good for. People who have mastered using traditional balance boards and wobble boards and looking for continue to challenge themselves. Individuals who are seeking to get their children into board sports. People into longboard skating or snowboarding that want to ease into balance training. Who would the Flow board be best for? 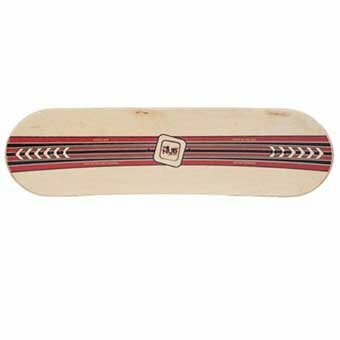 The el dorado has double a kicktail and is a similar size to a traditional skateboard it is 31 in long, the deck is 9.5 in wide, and the ends taper to 9 inches (79x 24 cm). The surf 33 board is 33in long and is a tapered board that is wider at the back and narrower in the front. The top of the board has a 5mm layer of EVA foam so make the board better to use with your bare feet. It looks like the surf 33 has recently replaced a different version of this board calledsurf 36 because they no longer sell it on their site. 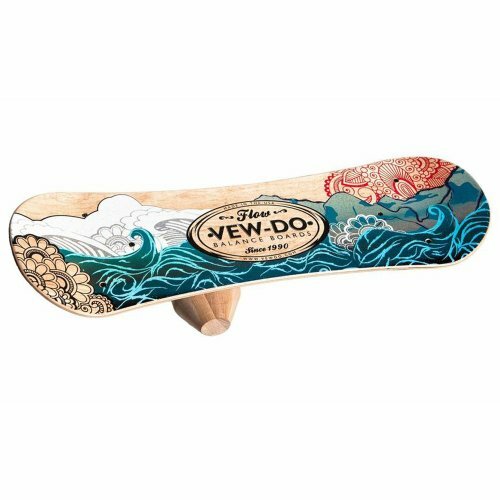 I was not able to find any videos of the surf 33 or the board on amazon so you have to go to vew-do boards site to check it out. I willadd videos an and amazon product link as soon as soon as they become available. The Eldorado is sold with a 4in in roller, and the surf 33 comes with a 5 in roller beside the 1in. size difference they both have the same 50-degree taper. These larger rockers with reduced riding surface due to the higher degrees of taper allow the users to spin faster and carve harder than any of their other balance boards rollers. You can also you these decks with vew-do boards other beginner and intermediate level rollers if you find these boards too challenging to use. Something else to keep in mind about these boards is that the rollers are made out of wood so rocks, pebbles and other stuff found on the ground outside can damage the roller. This is why it is recommended you use these boards are on a clean, smooth, hard, surface. Who would the El dorado be best for? Who should not get this board? The el dorado is an advanced level balance board that is made specifically as a balance/ skate trainer for skateboarders. If you are not into skateboarding, you would be better off choosing a different board. Who should get this board? This board is an excellent choice for any intermediate level or advanced level skateboarder because it will push your balance skill to the next step and allow you also to practice ollies and flip tricks. You can practice ollies and flip tricks with this board, but it will be hard to land the track on the bottom of the deck exactly on the groove in the roller. If you are looking for a skate training device only to get better at ollies and flip tricks, you might be better off with a different device that is easier to stick the landings. Check out my guide for the skate/balance trainer for learning how to do ollies and flipping tricks if those are the main skills you want to develop. Who will the surf 33 board be best for? Who would the surf 33 not be good for? This in an advanced level balance board that is made with surfers interests in mind this board would not be good for beginners to balance training. If you are into long board surfing or skateboarding this board will not be bigger enough to practicing board walking maneuvers on like cross stepping. If you are looking for a board to will allow you to work on your footwork I recommend you check out a parallel roller balance board like the goofboard. Check out my goofboard buyers guide for more information on the goofboard. Who would the surf 33 be best for? This board will help you to improve your heel to toe balance skills and help you learn how to apply proper heel and toe pressure for different surfing maneuvers. Additionally, this board is easy to rotate and spin on while so you can practice movement patterns like the bottom turn that require you to turn your body explosively while correctly applying heal and toe pressure. This Video will give you a better idea of what the nub looks like and some of the different ways you can use it. Turn your speakers down if you are not a county music fan. What is the Difference between the Butter Nub and the Pickle Nub? Vew-do has two different versions for what I would classify as spinning balance boards called the butter nub and the pickle nub. With both the nubs you can work on basic balance skills, rotations, spins, heel to toe balance, board flipping tricks, core strength, and rehabilitation without having to be elevated off the ground on a roller like with traditional balance boards. The Pickle nub is more challenging to use than the butter nub. 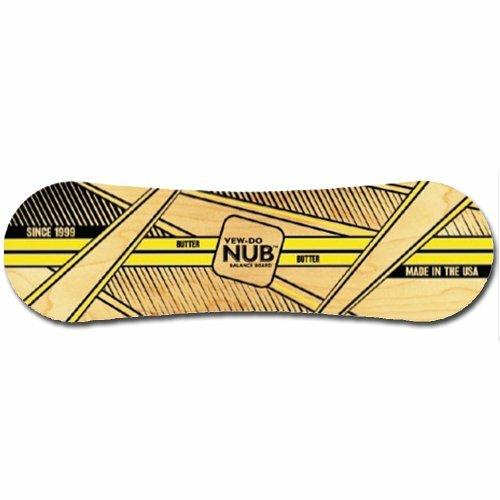 The pickle nub reacts quicker, allows for a greater degree of heel-toe balance and spins faster than the butter nub. Are the butter or pickle nubs right for you? Who should avoid the butter and pickle nubs? If you are looking for and intermediate or advanced level balance trainer you will probably not find this board challenging enough. Who would the nubs be the best for? I think the safety of these balance trainers is the best thing about them, these board would be ideal for anyone looking to get into balance training but does not want to deal with the risk of taking a hard fall on a traditional balance board that sits on a roller. This board would be good for athletes looking to balance train because it might not be worth the risk of sustaining and injury that could stop you from playing your sport if you take a fall while using a traditional balance board. Casual users and children and can have fun using these easy to use boards, unlike other balance boards that have a steeper learning curve to use. I have read positive reviews from people using these boards to recover from ankle injuries by strengthening their ankles with these boards. If you exercise using the simple fit balance board and are looking for a way to make your workouts harder, you can use these board to continue to challenge yourself because they allow you to most of the spinning movements you can do with a simple fit board. Another thing to be aware of is that the ideal surface for these nubs is a hard, smooth surface they will not work as well on soft surfaces such as carpet, dirt or grass. If the surface is too hard or too coarse like sidewalks or rocky roads, it can damage the board. If you find the board too challenging try using it on a thick carpet, this will slow the board down and make it react slower. A word of caution for the parents out there. For the parents out there, this video will show you what could be happening on your hardwood flooring. It looks like this board could do some damage to nice floors so make sure you have somewhere your kids can use this board without having to worry about damaging the flooring. This video shows how you can use the vew-do pickle or butter to practice ollies. The vEw-do zone fitness and standup desk system. reveiw of the vew-do zone. The deck is 26 in x 13.5in and if covered in a 5mm layer of EVA foam for added comfort when using barefoot and has notches on the sides of the board help keep resistant bands in place if you choose to use them with this board. The board comes with a wood wobbler that you can use for 360 degrees of balance training and a form teeter that can be used to rock the board back and forth. Sold separately are the beginner level mini roller 101 and intermediate level mini roller 301 that you can use to make the board behave similarly to their flow or zippy balance board. Who would the vew- do zone fitness board be best for? Who should avoid this board? If you are into board sports, I think there are better options you can choose. This board does not have kicktails so you can not practice ollies and skateboard flipping ticks. If you are looking for and advanced level balance board this board will not be challenging enough. Who would this board be best for. The vew do zone is ideal for general fitness or stand up desk balance training use because it gives you many options for changing how the board performs by using different pieces of equipment under the board. This board can save you money and space because you can turn it into a few different types of balance boards by using the various pieces under the board. This ability to be able to quickly and easily change how challenging the board is to use would be useful for physical therapies what have clients with varying degrees of balance skills. If you are interested in learning more about the types of balance boards made to use with a standup desk check out my guide. If you end up buying once of these boards, please share your experiences with it with below it in the comment section below. If you found this guide helpful please help support this site by sharing it with your friends, social media,relevant site or forum.